Is Your Garbage Disposal Eco Friendly? A garbage disposal is a common feature in many homes. We didn’t have one when I was growing up (caused too many clogs and was removed, as I understand it), but my husband had one, and still loves to use it. They seem like a nice way to cut down on the food waste you throw in the garbage. But are garbage disposals environmentally friendly? Depends. What Are You Comparing Them To? When it comes to being eco friendly, a garbage disposal can’t really compare to composting. Composting is a much better option if it’s available to you. There are a variety of ways to make composting easier, such as keeping a container available for food scraps in the kitchen, and dumping it into an outdoor compost bin when it gets full enough or it’s just convenient. You can buy a container for the purpose, or just use an old coffee can or something similar for it. Bokashi composting systems can work indoors. They can be easier to deal with than with systems that rely on worms. Bokashi composting is anaerobic, and should not stink, making it a good choice if you can’t compost outside. Of course, composting correctly takes some effort, and you can have problems if you don’t manage your compost correctly. But done right, it’s a wonderful, effective choice. Using a garbage disposal can’t really compare to these options. It takes power and water to make a garbage disposal work. Sometimes they clog, and that can be a huge mess. Better Than Throwing Food In The Trash? Food waste makes up a fair part of municipal waste, about 13.9% before recycling, according to EPA.gov (2010 data). That’s pretty significant. According to Insinkerator, an average household garbage disposal costs about $0.50 a year in electricity to operate, and makes up less than 1% of that household’s water consumption. By sending food waste down the drain, it goes to the wastewater plant rather than to the landfill, and may (depending on the wastewater plant) be a part of the plant’s energy generation as methane gas. Biosolids from wastewater may be used as fertilizer. 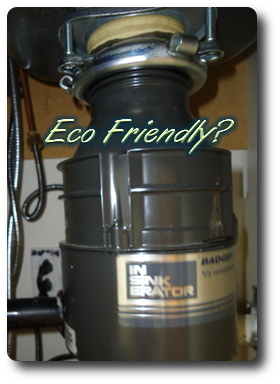 The Insinkerator website has links to studies showing how environmentally effective garbage disposals can be. Hauling food waste to the landfill is, unsurprisingly, not a very environmentally friendly way to handle it. Of course, in some places that less than 1% of household water consumption may not be something you’re willing to spare. There are plenty of places where you really want to think about how much water you’re using. If that’s too much, composting really is going to be your best bet. As usual. The one problem I sometimes have with the garbage disposal is that it clogs up sometimes. Usually in some way my own fault. There was the time I sent too many cucumber peels down at once – my disposal didn’t chew them up much at all! They just slid on through and collected in the pipe just below. Fortunately, it was easily cleaned up by hand. I just had to unscrew the couplings on the pipes and pull them out. A gross, stinky job, but no harsh chemicals needed, just a bucket under the pipes to catch the water and mess. 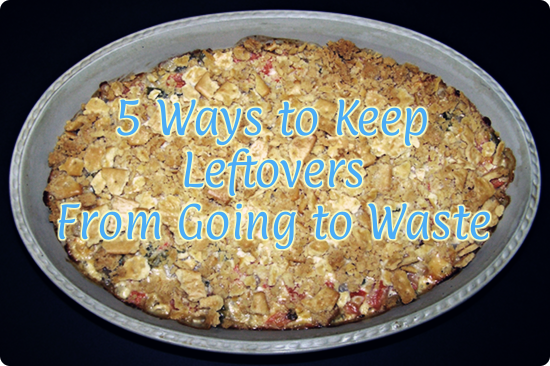 You need to be careful about how much you put through your garbage disposal. Mine is bottom of the line – we had a plumber comment that he didn’t know that brand made them that low a horsepower. That’s rental homes for you. But even more powerful garbage disposals can only handle so much at once. Make sure you’re giving everything enough time to get through. Also don’t put anything greasy down the drain if you can help it. 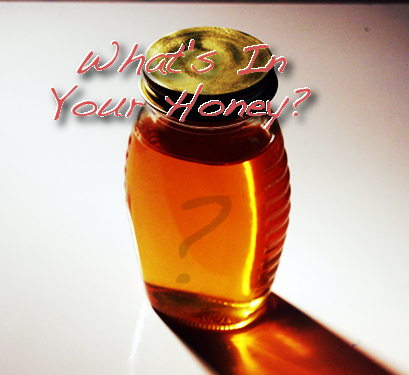 Grease doesn’t just clog your pipes; it encourages clogs further down the line. All in all, while your garbage disposal isn’t your most eco friendly option, it’s possible that it isn’t too bad, especially depending on the alternatives available to you. Take a look and dispose of your food waste the as best you can. The kitchen is an important part of the home to take the environment into consideration. 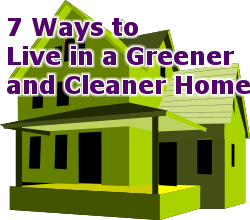 What you do there impacts your family as well as the environment. Your cooking tools are one part of that. Now, I’ll tell you right up front that I’m no fan of nonstick cookware as a general rule. 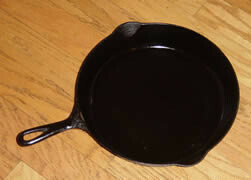 There are varieties out there now that say they’re more environmentally friendly, but I have yet to see nonstick cookware that really keeps the nonstick surface long enough to satisfy me, especially when it comes to skillets. The stuff wears off, whether over a few months or a few years, and then you have to buy new. Not terribly efficient in the long run, if you ask me. These are all personal preferences I’m listing here. You may not agree, and you don’t have to. I will tell you that some of my preferences won’t work well if you have a glass cooktop rather than gas burners on your stove. Take that into consideration as you shop. I love my cast iron skillets . They’re heavy, they take a little extra care if I want to keep them properly seasoned, but they last and last. Seriously, my big one belonged to my grandmother and it’s still wonderful. When it comes to being green in the kitchen, pieces that last just about forever rank really high with me. I like my pressure cooker , don’t use it enough, but it’s a good item to have around. Nice, solid, and it speeds up your cooking. That’s the whole point of a pressure cooker. My favorite things to make in them are artichokes. So much faster than cooking them in a regular pot. The Kuhn Rikon pressure cookers are excellent, although my handmedown Presto is generally good too. Make sure you check reviews for durability, as when I looked at some brands, parts tended to wear out shortly after the warranty expired. Once again, I favor products that don’t tend to need regular replacement as much as possible. Also, if you want to do canning, make sure you select a model designed for it. It’s just easier that way. The best part about bamboo, environmentally speaking, is that it grows quickly, and so cutting it down to make things has less impact than other woods do. Bamboo cutting boards can work really well, although they can be a little thin. It’s also attractive and durable. Pyrex storage containers are great for getting away from your typical plastic containers for leftover foods. They’re a very durable glass, and the lids can be made from BPA-free plastics. From reviews, I can say that the lids don’t last as well as the containers (hardly a surprise), but I understand you can get them replaced. I like their bakeware too. Some of it comes with lids, so it can be used as storage too, but others don’t. If you want something more durable than glass, stainless steel is a great way to go. Can’t use them in the microwave, obviously, but wonderful for carrying a lunch. Make sure you get leakproof containers if you’re dealing with liquids. While not a specifically eco friendly item, a Vitamix (or Blendtec blender if you prefer), is far superior to a basic blender. If you buy one, you must make smoothies with it. That’s an order. It really make it easy to enjoy a nice, healthy smoothie, and of course you can use it as you would any other blender. Best of all, they last very, very well.